Venus (Love) begins the month in Virgo, your 7th House of marriage, divorce and those who openly oppose you, Pisces. Good news! Venus brings admiration, love and affection your way. You have the ability to turn opponents into friends and find professional offers increasing. A romance becomes more committed, you could get married and if you're in the process of a divorce, all legal issues tend to work in your favor. With Venus in Virgo, you are well thought of in the eyes of the public and you appear less private and are perceived as less complex. 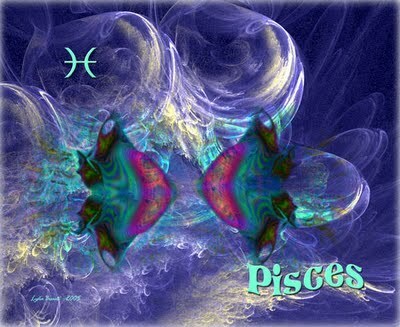 Venus in your 7th House is a time of great popularity, personally and professionally. Expect to enjoy the first two weeks of August. On 8/16, Venus enters Libra, your 8th House of shared resources, taxes and wills/inheritance matters. The 8th House also deals with the metaphysical. You might encounter some unexplainable and strange happenings with Venus in Libra. You could experience unusual situations that change your opinions and outlook regarding areas such as psychic phenomenon, haunted places and an interest in metaphysics can be sparked by an unusual encounter. Pay special attention on the 26th & 30th! Mercury (Communications- written and spoken) will travel through 3 signs this month. August begins with Mercury in Cancer, your 5th House. On 8/8, Mercury will enter your 6th House of work, your daily routine and issues connected to your health. Mercury will be in Leo and your 6th House for the majority of August. On 8/23, Mercury will enter your 7th House of Virgo and remains there until 9/9. With Mercury in Leo, you make gains through your career but could be shy in the presence of higher ups. Leo is theatrical and loves the limelight. With the planet of Communication in Leo, you could desire some behind the scenes time but realize that being in front of an audience will be expected from you. A New Moon occurs in Leo on 8/6. Leo is your 6th House of repair and maintenance. It also represents your daily routines, work and deals with your health and wellness. Offers to socialize are on the upswing on this date. You could be in line for a promotion or bonus and the pace of your career will feel secure. There could be a tendency in the weeks following this New Moon in your 6th House for your peers and associates not to be forthcoming with you. In other words, watch out for those who tell you only what you hope to hear as opposed to what the truth might be. Mars begins the month in the compatible water sign of Cancer. Mars reveals where you tend to focus your energies and speaks to what motivates you most. In your 5th House of Cancer, love, children, creative projects and taking risks will be areas that give you the most satisfaction. These areas will keep you cheerful this month while some other areas could feel pressured. With Mars in your 5th House, it's time to expand your horizons, Pisces. Anything pertaining to love, passion, taking risks, creativity and children will energize you. Just be aware that you could experience some challenges if you display any aggressive outbursts or impatience. Expect your personal magnetism to shine and your sexuality to be considerably heightened. Your imagination will be stirred and your intuition will border on phenomenal. Mars will change signs on 8/27 and enter Leo, a fire sign that can dampen your enthusiasm. Mars will be in Leo until 10/15. During this transit, your focus will be motivated on health, wellness and repair and maintenance issues. Your career will also pick up and you could find the wherewithal to do what must be done. A Full Moon forms in Aquarius on 8/20. Aquarius is your 12th House of privacy. This Full Moon involves dreams, your imagination, the secrets you might keep and shines a spotlight on your ego and psyche. You could feel the need to create greater self-awareness and dig deep into your private life and decide how to come to a greater understanding of how you deal with issues from your past that refuse to go away. Emotions will be heightened and those around you could seem out of sorts. Any introspection you have worked on since the Full Moon in the early degrees of Aquarius last month can come to a successful conclusion this month. Get plenty of sleep, take some time off and recharge on this day. The 21st and 22nd promise to bring positive developments where you have taken some time to explore your interactions! A Cancer, Capricorn and an Aquarius will play key roles throughout August, Pisces.